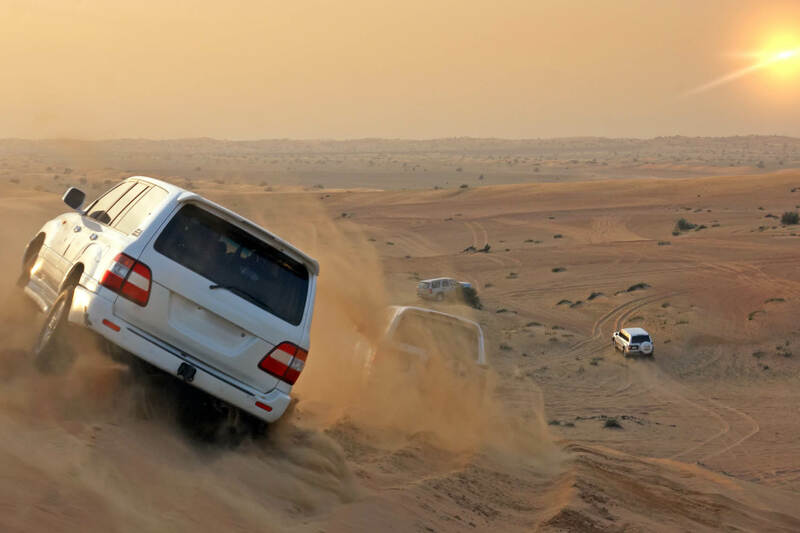 Dubai Desert Adventures | Learn More on the My Dubai Blog! Exotic luxury is just one phrase that comes to mind when you mention Dubai. Aside from the luxe designer shopping malls, opulent bars and restaurants, and fabulous beach clubs, there is a whole host of adventures to be had further afield. Many people don’t realise that Dubai isn’t actually a country, it isn’t even the capital of a country. The United Arab Emirates, which came together in the early ’70s, is made up of seven emirates, with Abu Dhabi as the capital, and includes Ajman, Fujairah, Ras al-Khaimah, Sharjah, Umm al-Quwain and Dubai. The desert surrounding Dubai’s cosmopolitan metropolis, and the other six emirates, is full of fascinating wildlife, thousands of years of history and culture, and activities to keep even the most extreme thrill-seeker happy. 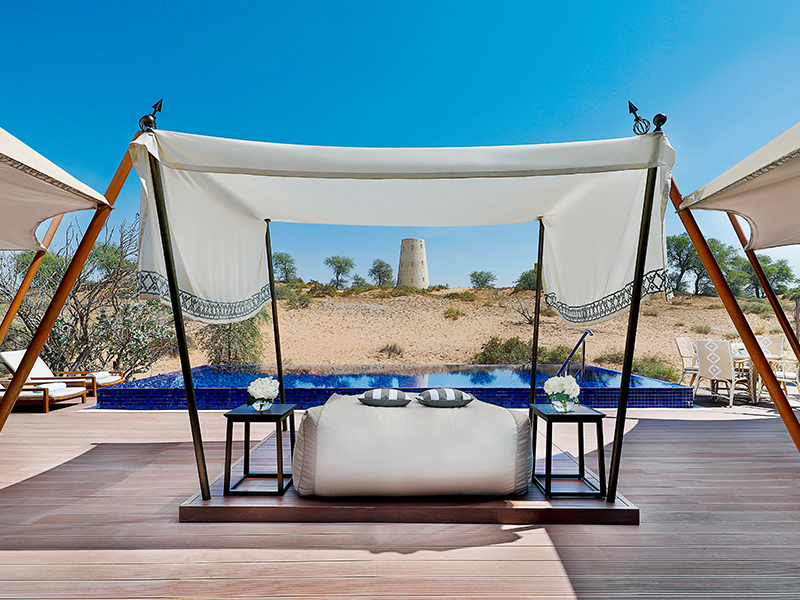 The Ritz-Carlton Ras Al Khaimah, is in the Emirate of Ras Al Khaimah, in the Al Wadi Desert. Just a 25-minute drive from the beach and an hour from the centre of Dubai, the Ritz-Carlton simply screams exotic luxury. It is about as far removed from everyday life as you can get, without hopping on one of Richard Branson’s Mars-bound rocket ships. Featuring 101 luxury villas, spread throughout a 100 hectares of national park, each with their own private pool and sundeck. Staying at the Ritz-Carlton is the best way to get the full desert experience, while also never being too far away from a world-class spa treatment or refreshing dip in the pool. 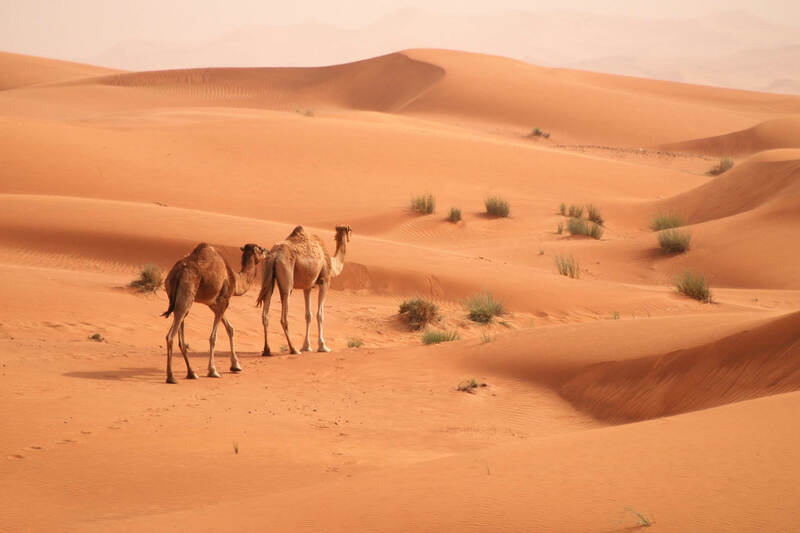 If you want an authentic cultural exchange with local Bedouin people, while still enjoying the city experience in Dubai, a day trip into the desert could be for you. 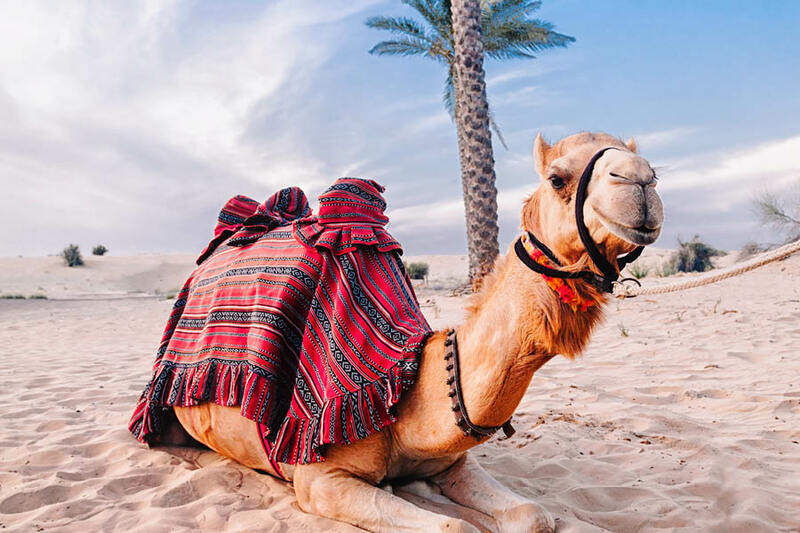 Visit Bedouin camps and learn about their nomadic traditions, try some local food, learn about their traditional medicines, ride a camel, try sandboarding, and zip through the sand dunes in a luxury 4x4; before being whisked back to your luxury hotel in Dubai’s glitzy oceanfront city centre. If a day trip won’t quite cut it, why not head into the desert for an overnight adventure? There are plenty of options available. 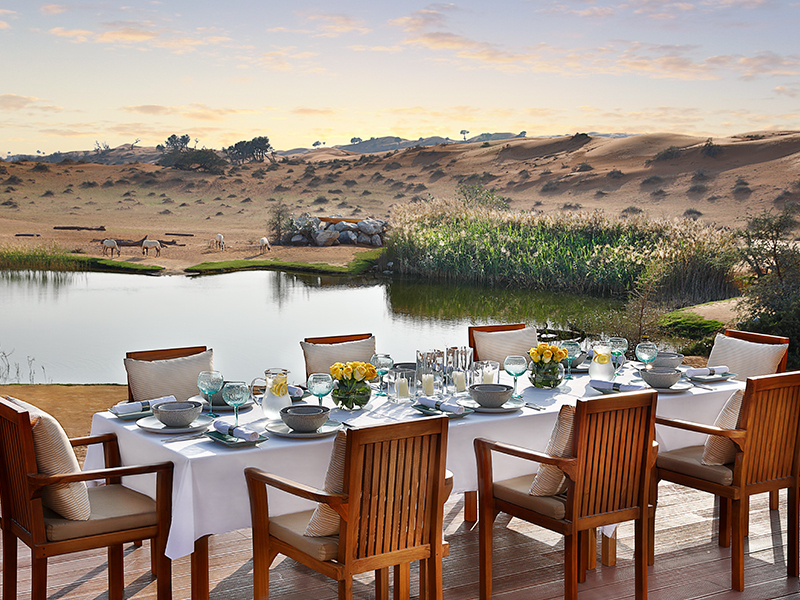 From wildlife spotting and staying the night in a Bedouin-style desert safari camp followed by a sunrise hot-air balloon ride; to exploring the sand dunes in a vintage Land Rover and sleeping under the stars. Most desert experiences will come with traditional Emirati meals, and plenty of entertainment such as riding quad bikes, henna tattoos, snake charmers, belly dancing, and shisha. If you are after the ultimate desert adventure, hire a car and take off on your own self-drive camping trip. Driving 4x4 vehicles such as Jeep Wranglers, you will be taught by locals how to safely navigate the sand dunes, and drive through the desert in convoy to a different camping spot each day. Barbecue each night, under the stars, and wake up each morning with uninterrupted desert views.